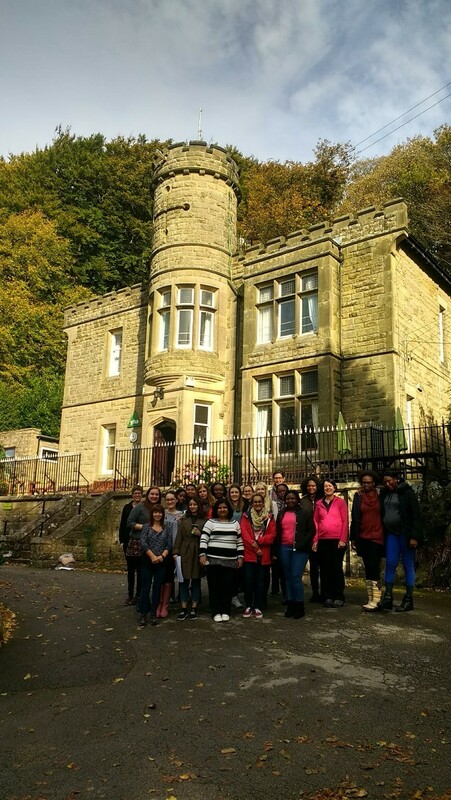 As part of the extended induction programme, the MSc Public Health students took part in a two-day field trip that was designed to provide an immersive experience for students to orientate towards the discipline (with a real word example of a past public health situation), get to know each other, form friendship groups, and begin to work in teams. 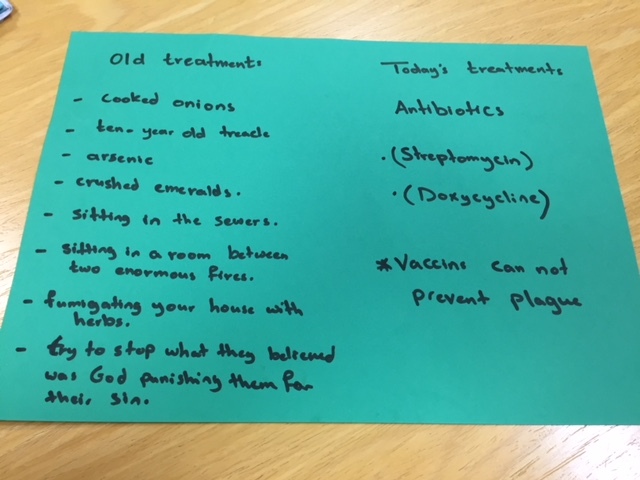 Students learned about the control of an infectious disease in history, and one village’s unique approach to dealing with the plague crisis. This was designed to enable students to learn lessons that can be applied to infectious disease today. The field trip took us to Eyam, a small village in the Derbyshire Dales within the Peak District. In 1665, the village experienced an outbreak of the bubonic plague, and the villagers chose to isolate themselves to prevent the spread of infection. During the outbreak, 260 villagers died (double the rate of those who died in London from the bubonic plague). 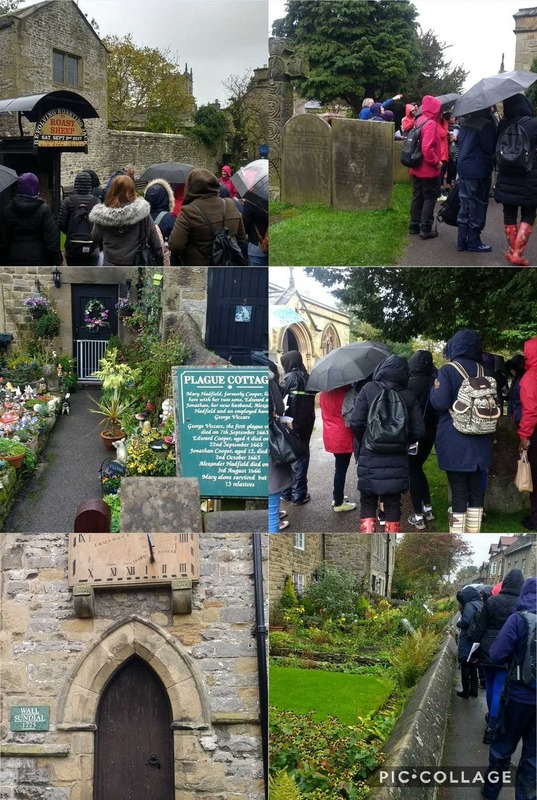 On day one, the students took part in a guided transect walk around the village to learn about the history of the village, some of the key places, and the decisions that were made during the outbreak of the bubonic plague. 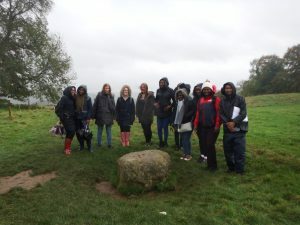 The great British weather made this a very wet two hours, but a few hardy souls made it to the boundary stone, and we all learned a lot along the way about how the village dealt with the situation. 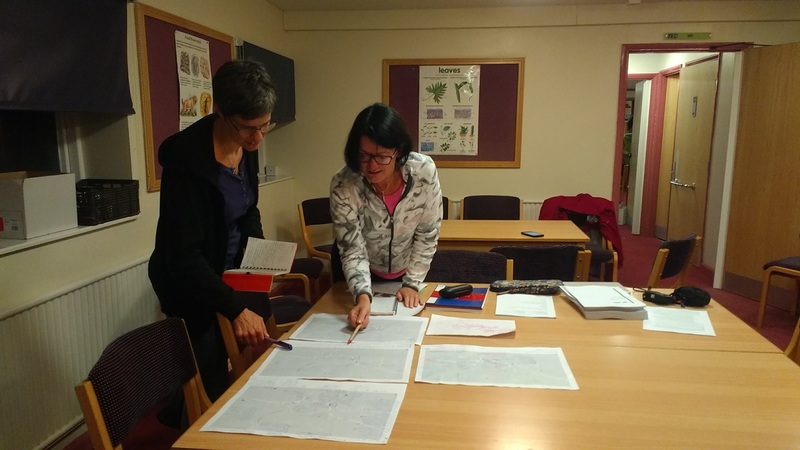 Upon warming up with cuppa soup, teas, and coffees back at the Youth Hostel, the students started completing more detailed maps in groups to present to the judges (the lecturing staff), and provide their overview of the village based on the transect walk. As you can see the judging was intense! The final activity of day one involved an outbreak game: could our students and staff survive being infected by those who were the source of the outbreak? 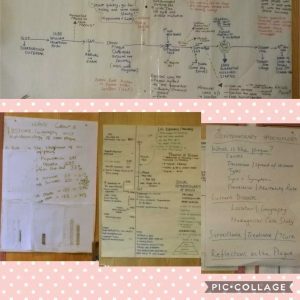 Our very own Margaret Coffey was infected twice, but was deemed allowed to stay in the Youth Hostel, once the class had worked out who were the sources of the outbreak, and how it had spread around to those infected. 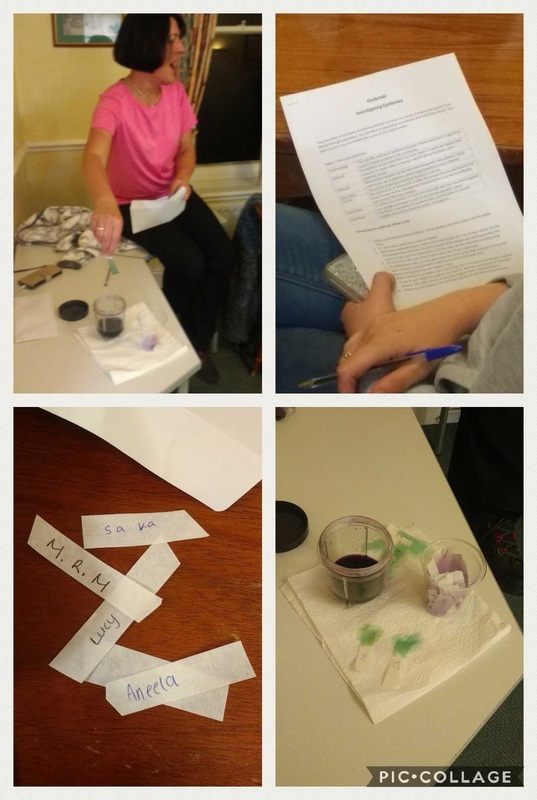 On the second day, those who were unable to join us, and were based back at the University, carried out similar activities to those who were in Eyam. 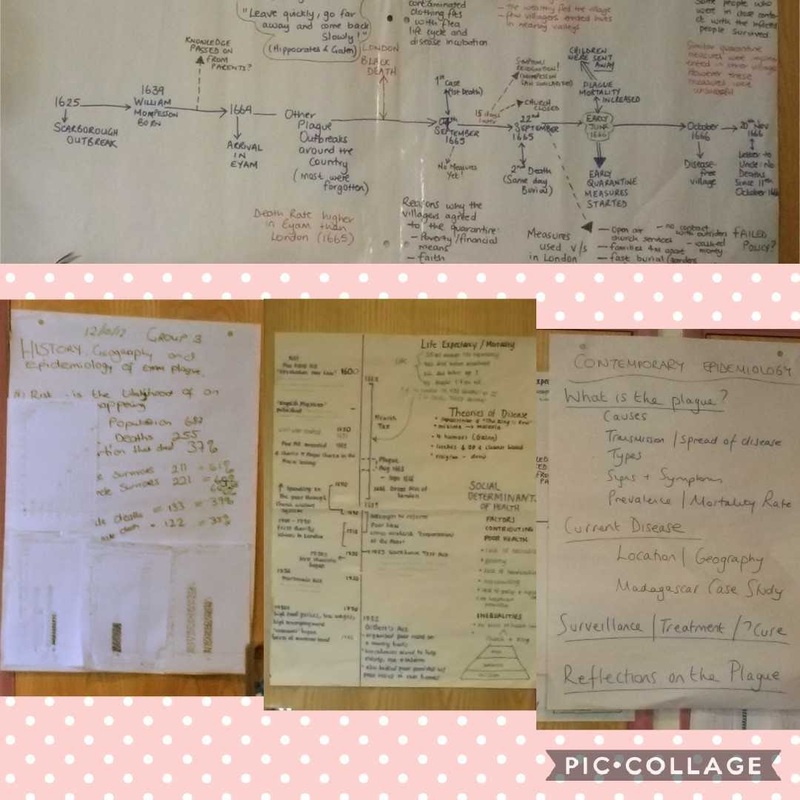 The students were split into groups to create a presentation related to either: the data and risk factors related to the plague outbreak in Eyam; or the modern spread of the plague, looking at Madagascar as a current case-study. Having a student from Madagascar on the trip with us really brought this work home for everyone, with their explanation of some of the measures that were currently in place. 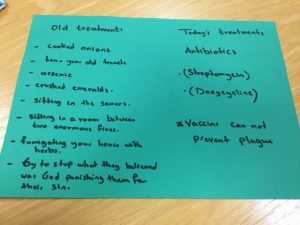 ‘The group work on the Plague worked very well, especially presenting in the order that we did – historical plague to current issues re: global plague. Definitely a learning experience’. Finally, we finished off with a trip to the local museum to round up all the learning before people headed back to Salford on the coach. 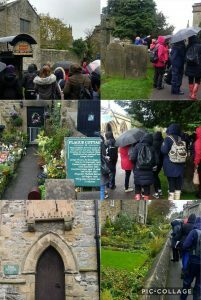 Despite the weather, we all had a great time getting to know each other, learning about Eyam, and thinking about how this relates to modern Public Health. ‘I feel like I know more people and am more relaxed around them’. ‘It has helped us get together. I think we will work together more effectively’. The trip received overwhelmingly positive feedback, with 68% reported their experience on the trip as ‘excellent’ and 26% as ‘good’. Participants especially valued the chance to get to know each other. We hope you will be able to join the MSc Public Health course in the future and come with us to learn more about the history of public health, and experience some of the English countryside. You even get to stay in a mini castle for a night that is owned by the Youth Hostel Association.